What Employee Benefits are Deductible for My Business? You can take a tax deduction on your business tax return for the cost of providing benefits to employees. Employee benefits are reasonable and necessary business costs. These benefits are sometimes called fringe benefits because they are on the fringe, or they add to the basic pay of an employee. The cost of employee health plans, including costs associated with the Affordable Care Act, is usually deductible to employers, but these plans must be qualified by the IRS. It's best to have an attorney or financial advisor help you set up these plans so they conform to IRS regulations, so you can be sure the deduction will be allowed. Under a 125 Plan, employees pay for benefits via a payroll deduction. The money deducted from workers' pay is shielded from taxes, so employees retain a greater portion of their earnings. You as the employer benefit from setting up these plans, because they lower employee pay, which lowers the amount of FICA tax payments (Social Security and Medicare tax) for both employees and employers. There are very specific requirements and restrictions for cafeteria plans to be qualified. If you are considering such a plan, consult a benefits specialist to be sure it complies with IRS regulations. Gifts to employees can be deducted by your business if the gifts are of nominal value. The only exception that allows a gift certificate to be deductible to the company and excludable from the employee’s gross income is if it qualifies as a “de minimis” fringe benefit. However, any gift certificate that can be converted to cash or a cash equivalent is never de minimis. The IRS has not established a dollar threshold that can be applied when determining if goods and services qualify as de minimis fringe benefits. 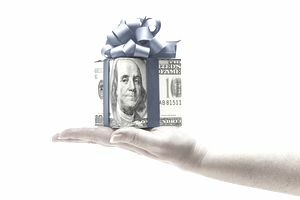 Some may argue a reasonable threshold is the $25 limit imposed on business gifts. The general rule is that gift certificates are not allowed to be given to employees because they do not count as “tangible personal property”. Awards and bonuses to employees are deductible to your business but may be taxable to employees. You may take a business tax deduction for the cost of providing educational assistance to employees, as long as you set up a qualified educational assistance program, under IRS regulations. It's best to get an attorney to help you set up this plan. You may not provide special benefits to "key employees" (the highest-paid employees or those serving as officers, for example) to the exclusion of other employees. In other words, you must offer the same benefits to all employees. You may not deduct the cost of dues at golf clubs or country clubs for employees. You may not deduct the cost of life insurance for anyone associated with your company if you are the direct or indirect beneficiary. See IRS Publication 15B for more information on specific employee benefits. Also, see Chapter 2 of IRS Publication 535. Disclaimer: This article presents general information and is not intended to be tax or legal advice. Every business situation is unique, and laws and regulations change frequently. Be sure to consult a tax professional or tax attorney before you make any decisions that may affect your business tax status.